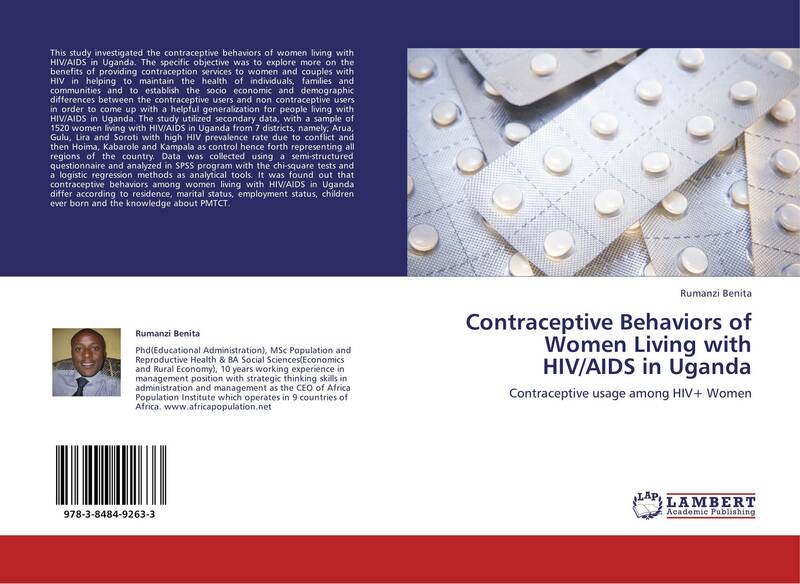 This study investigated the contraceptive behaviors of women living with HIV/AIDS in Uganda. The specific objective was to explore more on the benefits of providing contraception services to women and couples with HIV in helping to maintain the health of individuals, families and communities and to establish the socio economic and demographic differences between the contraceptive users and non contraceptive users in order to come up with a helpful generalization for people living with HIV/AIDS in Uganda. The study utilized secondary data, with a sample of 1520 women living with HIV/AIDS in Uganda from 7 districts, namely; Arua, Gulu, Lira and Soroti with high HIV prevalence rate due to conflict and then Hoima, Kabarole and Kampala as control hence forth representing all regions of the country. Data was collected using a semi-structured questionnaire and analyzed in SPSS program with the chi-square tests and a logistic regression methods as analytical tools. It was found out that contraceptive behaviors among women living with HIV/AIDS in Uganda differ according to residence, marital status, employment status, children ever born and the knowledge about PMTCT.